In 2006 we were located at the intersection of 9:00 and the Esplanade (at the 9-o'clock keyhole), with our 12.5-foot video screen facing the Esplanade. 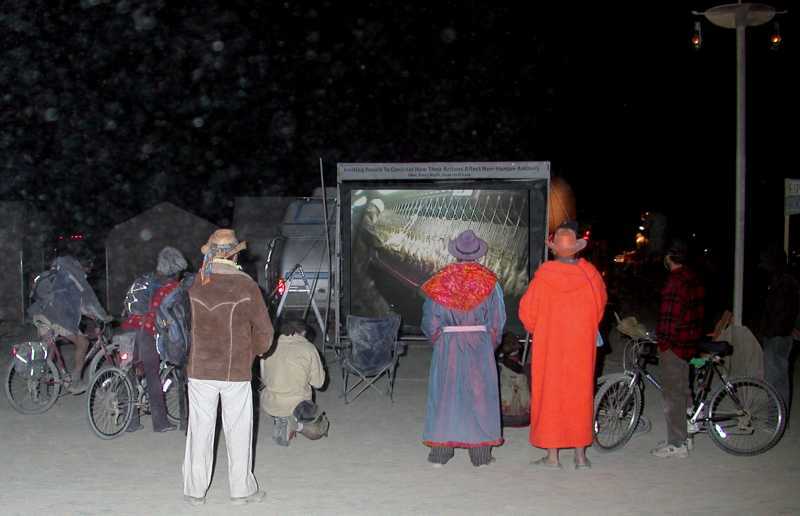 We projected video for approximately eight hours each night, over seven nights, for a total of more than 50 hours. With the huge volume of traffic on the Esplanade at night, especially around the keyholes, we estimate that we reached at least 20,000 people.